ABEOKUTA – Barely a weeek after Ijebu-Remo Axis picked her consensus governorship candidate ahead of 2019 election ,the Ogun West has also picked a Senator representing Lagos West federal constituency in the red chamber, Solomon Adeola, popularly known as Yayi, as the consensus Ogun State governorship candidate for the Yewa-Awori in 2019. The Ogun West consensus governorship candidate was endorsed by Ogun West Consultative Forum, an independent group made up of professionals drawn from the axis. The announcement was made on Tuesday during a press briefing it held at the Asade Agunloye Pavilion, Empire, Ilaro, in Yewa South Local Government Area of the state. The President of the forum, Kayode Ajibola, disclosed that six aspirants from the Yewa-Awori axis including Adeola, were all interviewed on their manifestoes for the state and what they felt were the chances of the Ogun West in producing the next governor of the state. He said the forum also considered the political party, experience, exposure and financial capabilities of each of the aspirants. Ajibola said the forum had reached out to stakeholders in other Senatorial districts; Ogun Central and East in the state which ,he said, had asked the axis to put its house together and come up with one acceptable candidate from the multiple candidates already showing interest. He said the group is an independent political volunteer force with the interest of Ogun west senatorial district as its priority. He said ” all other aspirants are equally suitable and qualified to be governor, but, Senator Adeola is the most experience. “Since 1999,he has been in one political office or the other. 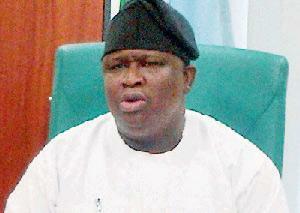 Currently, he represents Lagos West Federal constituency which is bigger in population than Ogun state. For him to have offered to leave all these, is a big sacrifice . ” We want to plead with other aspirants to come together and support Adeola to succeed”. He however, warned that people of Ogun West will not vote for any political that did not field governorship candidates from the Senatorial district in 2019. The post 2019: Ogun West forum endorses Solomon Adeola as gov candidate appeared first on Vanguard News. Next articleWhy Get Your Masters with HEC Paris? Do universities contribute enough to the UK economy?